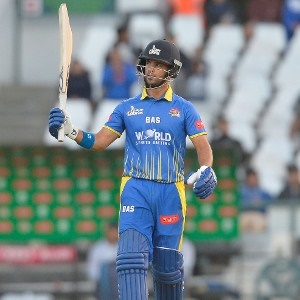 Cape Town - Three wickets from Rory Kleinveldt and a half-century by JP Duminy helped the Cape Cobras make it two RAM SLAM T20 Challenge wins from two after they ousted the Knights by three wickets at Newlands in Cape Town on Sunday. The hosts, who had started the competing with a hat-trick of defeats, needed a big weekend to kickstart their campaign. After beating the Highveld Lions in Paarl on Friday, they followed that up with another vital showing in front of a sizable home crowd that had gathered for the second of a double-header at the venue. Seamer Kleinveldt led the way with the ball by taking three for 19 after the hosts had won the toss and opted to field first. That helped restrict the visitors to 159/5 in the process - a total built around a rather subdued 50 (37 balls, 3 fours, 2 sixes) by David Miller as well as Ryan McLaren's unbeaten 31 off 20 balls and 40 from captain Theunis de Bruyn. The Cobras appeared sluggish for most of their reply and looked in real trouble when Hashim Amla fell for 29 in the 10th over with only 54 on the board. They slumped further to 108/6 in the 16th over before a fine cameo by Vernon Philander helped get them over the line. The Proteas all-rounder made 22 off 11 and offered good support to captain Duminy, who eventually fell for 67 (44 balls, 8 fours, 1 six) as the home side secured the win.